Christmas is just a few days away and holiday parties are in full swing. In fact I already have a few fabulous parties under my belt. 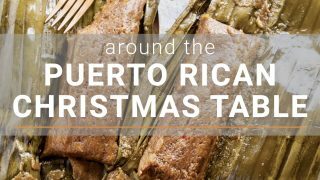 Christmas is a huge, huge deal back home in Puerto Rico and it lasts well past Christmas day. Christmas starts the first day after Thanksgiving till January 6 which is Three Kings day and just for the heck of it we tack on 8 more days calling them “Octavitas”. The “Octavitas” are just an excuse to do more eating, drinking and singing. The spread at an Puerto Rican Christmas part is ample full of coma inducing carbs and pork, YEAH PORK! There is of course the Puerto Rican trifecta pasteles, pernil and arroz con gandules. 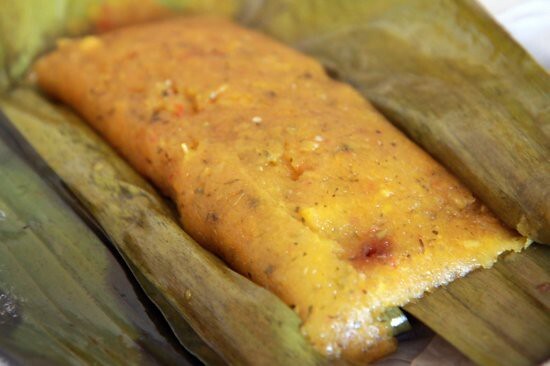 Pasteles de yucca are my favorite and they should be yours too, but if you insist on pasteles de masa which are made with a combination plantains and yautia then you can check out this recipe. 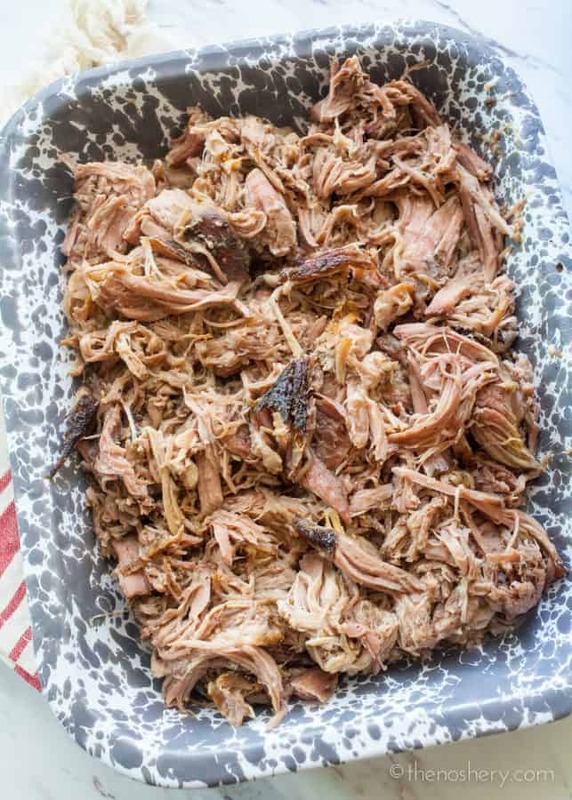 A proper pernil is slow roasted in the oven with the skin on but if you can’t get your hands on a pork shoulder with the skin on and want to take the “set-it and forget-it” approach my slow cooker pernil should do the trick. 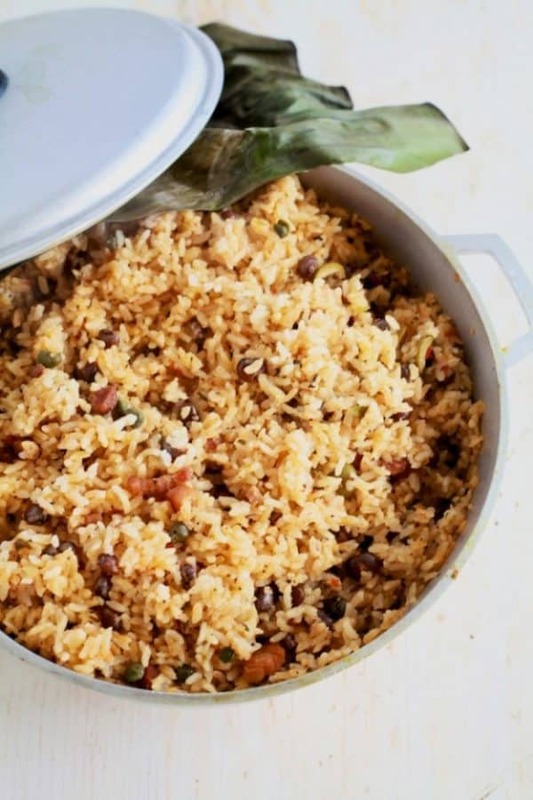 Rice is to Puerto Rico what potatoes are to the Mid-West. Arroz con gandules is home. Alcapurrias may not look pretty but they are DE-LI-CIOUS! 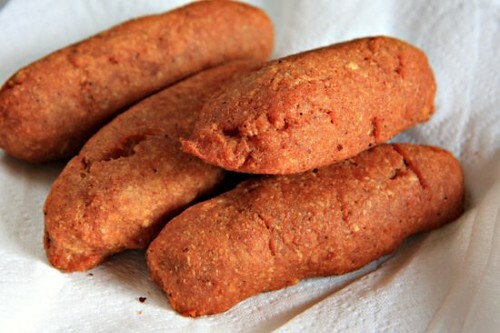 A deep fried fritter of tarro root and green banana filled with savory meat goodness. My toes curl just thinking about them. Don’t worry the sweet tooth is not forgotten. When I was a kid every Christmas my mother would make a huge batch of arroz con dulce which I would pick at behind her back. Its like a coconut risotto dessert, it’s awesomeness. It’s awesomeness that should be in your life. But wait, there’s more! You can’t go to a party empty handed, it’s just proper to bring a gift. Here in the states, you have egg nog, back home we have coquito. It basically a coconut eggnog with rum. A little goes a long way and holy moly is it delicious. It’s smooth coconut creaminess with just enough kick to grow one chest hair. I took a bottle as a gift to a Christmas party and I thought a fight was going to break out. The best part about this drink, not only is it delicious but it’s ridiculously easy. Hi, I love your coquito recipe, but I was wondering if the Coco Lopez gels once it gets cold. I’ve used it before but had to run the coquito through the blender before I serve it to break up the bits. I use this site for all my christmas recipes. Its a hit every time. My husband is from P.R. and I can always find awesome things to make for him, I love this site. I love this so much! This is my first year making coquito for Christmas and would love to use these labels. Where can I download them? I see you wrote it can be downloaded, but I’m not sure how. 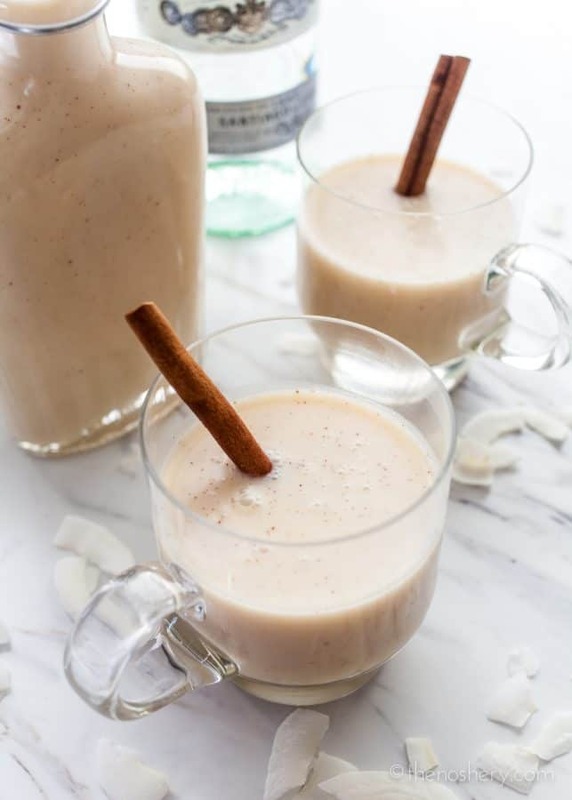 Coquito is guaranteed to make things festive! You can just right click on the image and select “Save Image As”. Then you can insert the image into any label or card template. Do you mean cream of coconut, like Coco Lopez (sweetened), or do you mean coconut cream, like coconut milk but thicker (unsweetened)? Thanks! 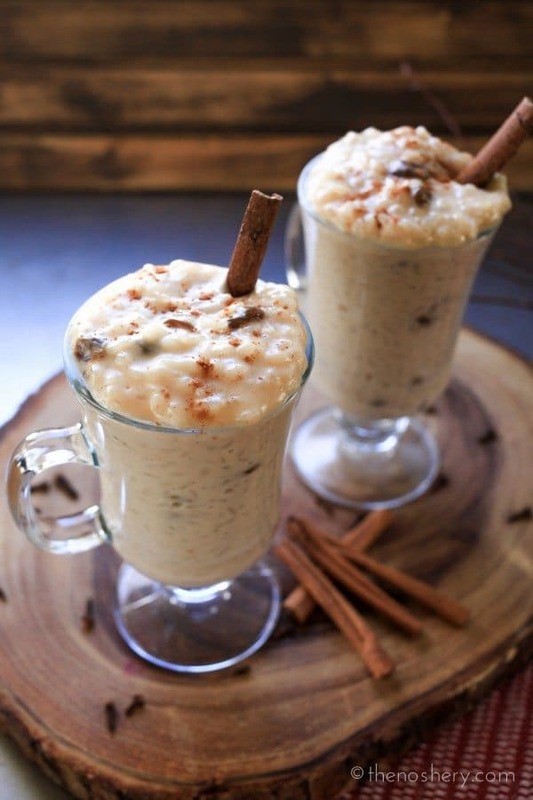 Love your blog and as a Puerto Rican myself from the south (Guayama) we love our Coquito too. I don’t add eggs on mine and if I use condensed milk I don’t use the cream of coconut either. I would use leche de Coco but this year I will make it with the cream of Coconut and i will omit the condensed milk and coconut milk. I find when both the cream and condensed milk are used it comes out too sweet and too thick, especially when it comes out of the nevera (fridge). I will definetly also try the pernil on my slow cooker. I bought one (slow cooker) and it’s been collecting dust in my basement. From one Boricua to another Weeeepa!!! and continue posting your delicious recipes. Where do you buy your pigeon peas? I look for them every time that I make jerk chicken but never see them in the supermarket. I get mine at a local Latin market. I have found them sometimes in my supermarket Latin food section. I have also seen them on the Internet. You can find pigeon peas in the ethnic section of any supermarket. They would normally be labeled, Gandules. Often times you can find them fresh in a bag, but they have to sit in water for at least 24 hours before they can be cooked. There is also a yellow label of Gandules with a man that has a cowboy hat and sitting on a donkey. And the label is called: “El Jibarito”. This all sounds good! My uncle brings small bottles of homemade coquito to my aunts every holiday. When I was younger, my aunt would make large batches of pina colada. Half of it was “virgin” for the kids and the other half was with rum. It was nice seeing your post. It brought back lots of memories. OOHHH…Tembleque!! Meseidy…you have to make one – my great grandmother used to make it…but she’s been gone for a long time – would love to make one again! !